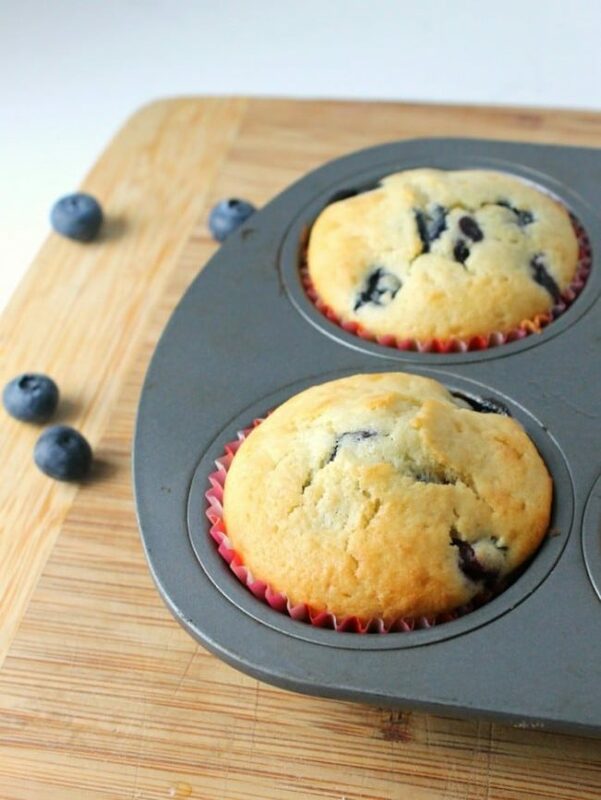 One of my favorite ways to use my supply of fresh fruits and berries is homemade muffins! The star of the show is always this sour cream blueberry muffins recipe that my sister gave to me a few years back. The weather is perfect right now, and my attitude is always more positive and optimistic around this time of year. Right now, all kinds of fruits and berries are going on sale! I always stock up while I can when the prices are low and freeze for future months when they’ll be a little pricier. The prep time on this recipe is minimal and the payoff is amazing. If you’ve never made a homemade muffin recipe before, you are most definitely in the right place starting with this blueberry muffin recipe, as sour cream adds such a great taste and texture! Once you’ve had these warm, soft sour cream blueberry muffins right out of the oven, you’ll never turn back. At first when I got this recipe from my sister, I was like…sour cream? Really? But she ensured me that it just makes the muffins super light and moist. I have started using the recipe as a base for all other muffin recipes and just adding different fruits such as blackberries, raspberries, hazelnuts, or chocolate chips to change it up. It’s kind of like how when you make banana bread and fold in the mashed bananas for that scrumptious moist texture. And if the sour cream isn’t blended all the way, it’s like you’ve found a hidden pocket of amazing! No need to split your muffin in half and spread butter on it because it’s already perfectly accompanied by creamy deliciousness. If you want to make the blueberry sour cream muffins ahead of time (like weeks ahead of time), just freeze the batter in the paper liners and put them in a bag once solid. When you are ready to use them, put the frozen batter cups in a muffin tin and let thaw in the fridge overnight, then bake! Super easy and saves time on those busy mornings when you still want something other than a bowl of cereal to eat. I love shopping at Food Lion because they reward me for being loyal. Their Shop & Earn MVP Customer Rewards Program earns me rewards towards future purchases just for shopping for my groceries like I would anyways. I can combine the rewards with all of the sales, coupons, and any other promotions to get incredible prices on my weekly shopping trip. The Shop & Earn program is so incredibly easy. 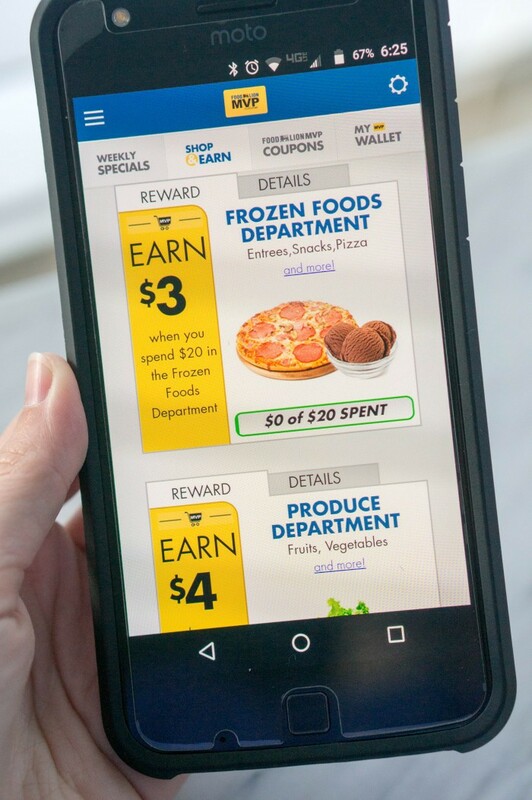 I got started with the free Food Lion app, but you can also access the program on their website by going to FoodLion.com/Shop&Earn and registering your MVP card or signing up for a new card if you don’t have one. The load step is a cinch. You just select any of the monthly offers that appeal to you. I go in and select all of the Shop & Earn offers because you never know when you might grab an item that qualifies and earn back a reward you weren’t even expecting. 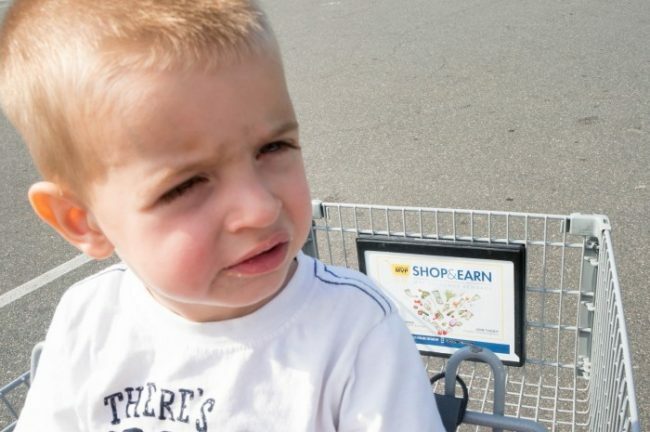 Then, you just browse and shop the store like you normally would. When you reach the checkout line, just scan your MVP card or type in your phone number linked to your account and the register will take care of everything for you. Any e-coupons you may have added through the app or website will be redeemed when applicable and your balances across the different Shop & Earn redemption categories will tally up for you. It’s so easy to see how far you’ve come during the month and reach your goal with your routine grocery visits. 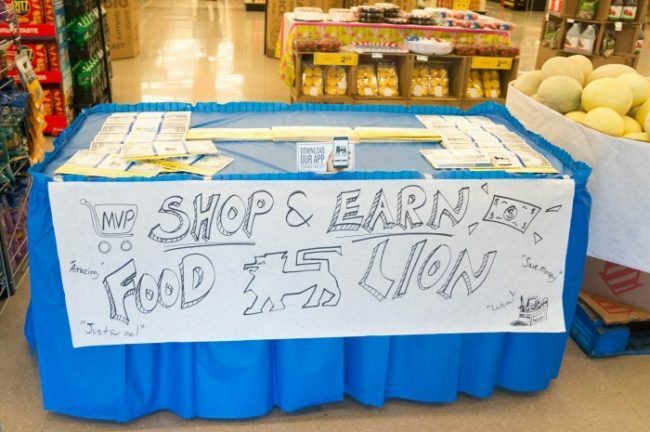 You can view your progress on the app or with the tracker available at FoodLion.com/Shop&Earn. Any rewards you earn during the month become available to use the next shopping trip, and expire the end of the following month. They are automatically applied at checkout just by using your MVP loyalty card. You can find the Shop & Earn program, digital coupons, recipes and an easy shopping list all through the app. It even has quick access to a Digital MVP card in case you need it, a store locator to help you with directions or when traveling, and a shopping history to keep track of your purchases or quickly update a new shopping list from past purchases. You can find a wealth of great content and ideas on Food Lion’s Fresh Ideas Blog! Preheat oven to 400 degrees. Grease a muffin tin or line it with paper or silicone baking cups. Combine flour, sugar, baking powder, and salt in a large bowl using a whisk. Combine eggs, milk, butter, and vanilla in another bowl using a whisk. Then in a bowl, toss the blueberries with the two tablespoons of flour. Fold the blueberries and sour cream into the batter with a spatula. 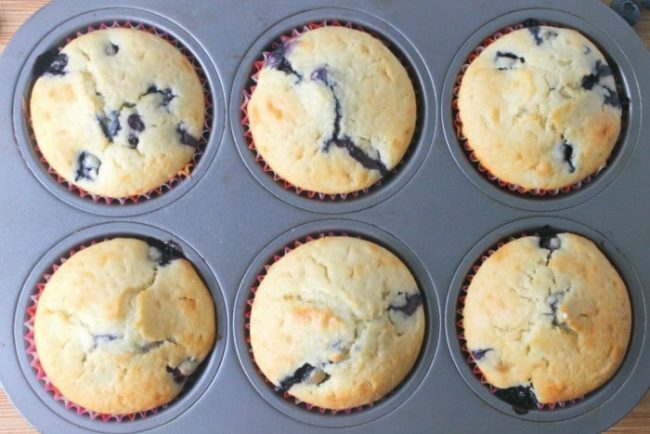 Fill muffin cups ⅔ of the way with batter. Sprinkle tops with sugar. Bake for 15 minutes. 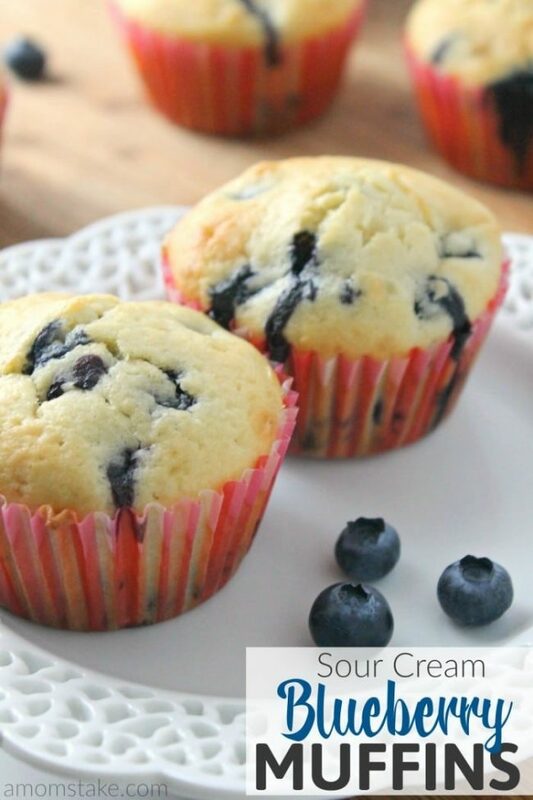 Have you ever had Blueberry Muffins with sour cream mixed in?